(0 Customer Reviews) | Write Review 13 issues per year The English Garden is the magazine for everyone who loves beautiful gardens. Every issue brings Britain¹s best gardens to life through glorious photography and captivating stories, supported by expert planting advice and inspirational design ideas from experienced gardeners. A digital subscription to The English Garden gives you access to the magazine on desktop, mobile and tablet devices. The English Garden is the magazine for everyone who loves beautiful gardens. Every issue brings Britain¹s best gardens to life through glorious photography and captivating stories, supported by expert planting advice and inspirational design ideas from experienced gardeners. 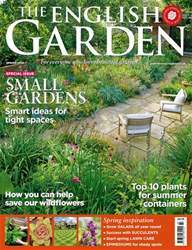 A digital subscription to The English Garden gives you access to the magazine on desktop, mobile and tablet devices. 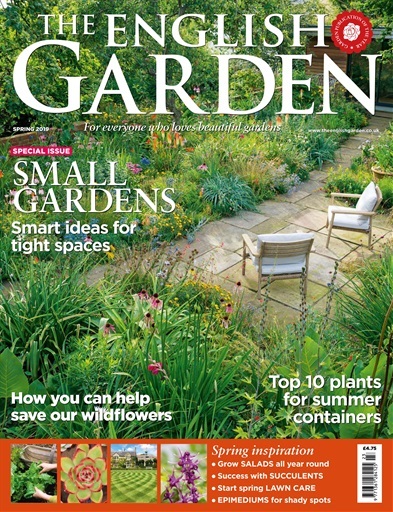 You'll receive 13 issues during a 1 year The English Garden magazine subscription. You'll receive 13 issues during a 1 year The English Garden magazine print subscription.